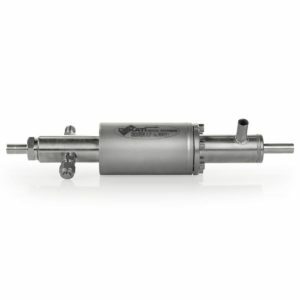 The Dekati® High Pressure Diluter DEED-300 is a two-stage dilution device for taking aerosol samples from high pressure conditions, such as in pre-DPF tailpipe measurements. 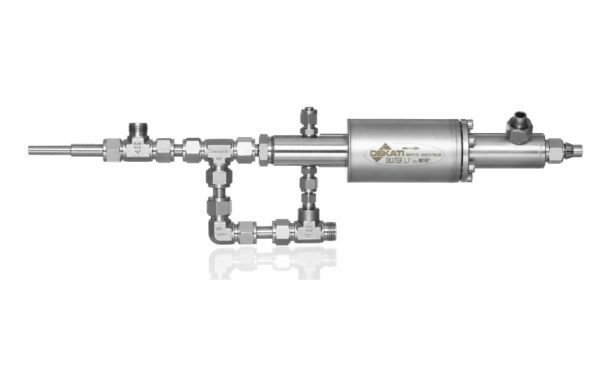 The DEED-300 is designed especially for high pressure conditions, and it always keeps a constant dilution factor regardless of the sample pressure inside the tailpipe. The total dilution factor in the DEED-300 unit is typically between 40 and 60 and it is individually calibrated for each unit. The complete DEED-300 unit can be operated at room temperature or alternatively, dilution air for the DEED-300 unit can be heated to minimize sample transformations. In a typical setup, the DEED-300 outlet is connected to an additional dilution device or volatile particle remover (VPR) where the sample is further conditioned. This volatile particle remover can be e.g. the Dekati® Engine Exhaust Diluter DEED-100 where the sample is conditioned according to EURO 6 and ISO8178:2017 standards. If the DEED-300 unit is used together with the DEED-100 system, the dilution air for the DEED-300 can easily be drawn from the DEED-100 main unit.